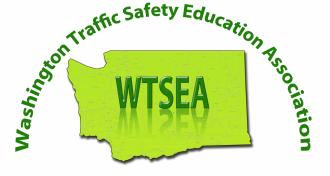 The Washington Traffic Safety Education Association (WTSEA) is a professional organization serving Traffic Safety Education (TSE) teachers and administrators throughout Washington State. We believe that an informed, educated and skilled membership is the goal of our association. support TSE teachers in acquiring skills, knowledge and instructional tools to perform at the highest level. ​Toward this end, board officers stay in regular contact with the State Department of Licensing (DOL) so that we can stay abreast of the changes in state TSE. Whenever possible, we attend various state meetings and legislative sessions. We also incorporate a professional lobbyist (on loan from the Washington Education Association) to advise and alert our association of impending legislation that will affect state TSE and our members. Designated board members attend the annual American Driver and Traffic Safety Education Association (ADTSEA) Conference to gather resources and information for our members at our annual conference. 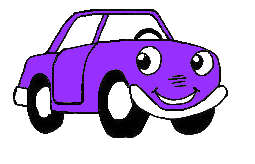 (ADTSEA is our national parent association). We also present an annual Fall Conference in coordination with the DOL Your board members spend many hours creating a theme, finding a venue, lining up speakers, presenters and exhibitors, proposing budgets, arranging for food, acquiring door prizes and making arrangements for hotel accommodations; all so that we can keep our membership up to date with the most current legislative changes and information and best practices in TSE and help them to be the most effective teachers possible. Finally, our association board in coordination with the DOL is authorized by the State Office of Public Instruction to distribute “Clock Hours” to our membership as they are earned, to fulfill state continuing education requirements.